In a first for the Indian market, fashion bible Vogue India presents the country’s first magazine cover shot on a smartphone. 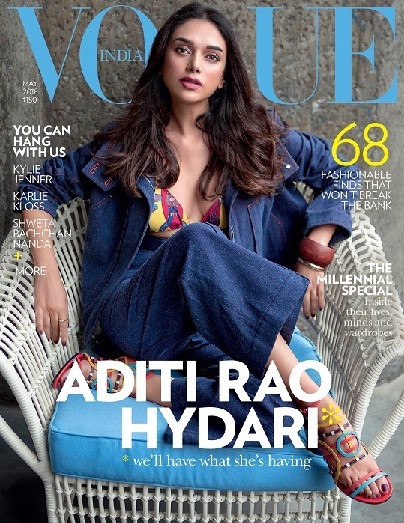 The May 2018 cover sees Aditi Rao Hydari captured on the soon-to-be-launched OnePlus 6 by ace photographer Errikos Andreou. Styled by Vogue India’s Fashion Director, Anaita Shroff Adajania, Hydari is seen in a striking spring-summer ensemble. Her picture-perfect features have been captured deftly by the smartphone. For more information and updates on #ShotOnOnePlus6, follow @VOGUEIndia on Instagram, Facebook and Twitter and OnePlus India on Instagram, Facebook and Twitter.